A few days ago we reported on the Silencer from Electro-Harmonix, a noise gate with lots of control. It’s a pretty neat utility pedal that can add a lot of control to a pedal board. But, that wasn’t all EHX has been up to this last year. 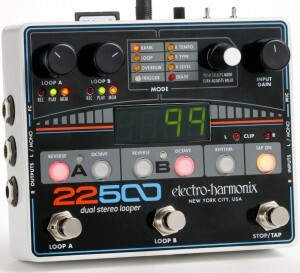 Besides announcing the Silencer at Summer NAMM 2015, they also announced the coming of the 22500 Dual Stereo Looper. 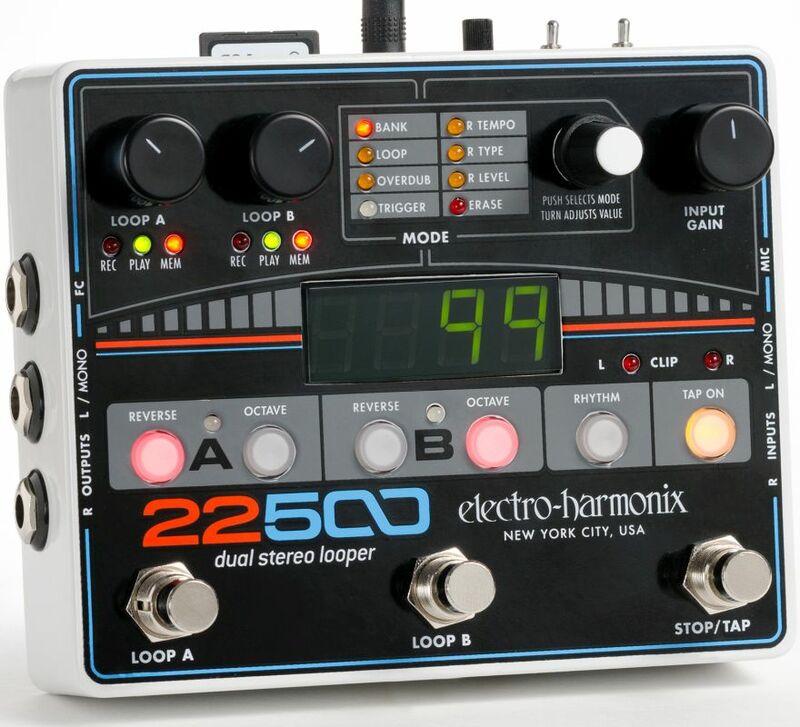 Combining a compact footprint, a comprehensive feature spec and an intuitive user interface, the 22500 delivers powerful looping capabilities in an affordable, easy to use package. It records high quality, non-compressed audio direct to a removable SDHC card (4 to 32 GB) and each card holds up to 100 individual loops. Includes an 8 GB card for up to 13 hours of total recording time. Dual Stereo Loops with either independent or locked loop lengths. Series Looping mode enables verse/chorus switching. Parallel Looping mode allows simultaneous playback of two loops. Selectable Microphone input with Phantom Power. Reverse and Octave functions at the touch of a button. Undo-Redo your last overdub or recording. Overdub with adjustable feedback amount. Quantize or non-quantize (free-running) modes. Rhythm Guide with built-in Drum Loops. USB Port enables backup/restore to PC or MAC. Programmable third Footswitch for Stop or Tap-Tempo. Optional external Bank-Up/Down Foot Controller (sold separately). Here’s a video from Summer Namm 2015 with a more in-depth explanation of how it works. Remember to leave a review at Pedal Finder if you get this pedal on your board.